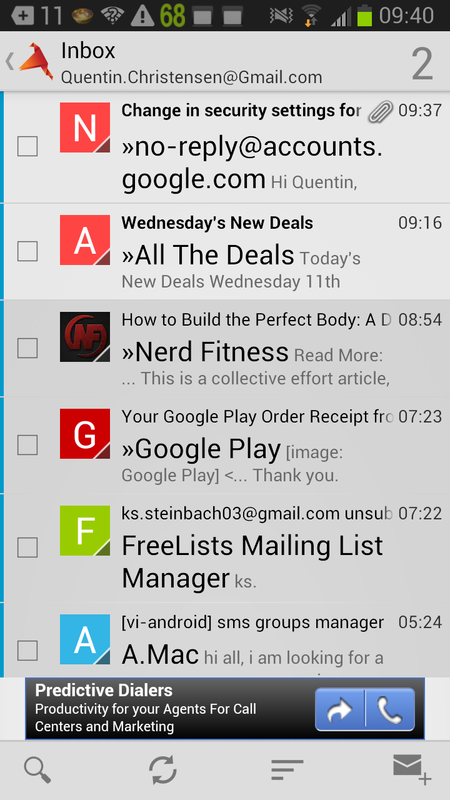 E-Mail apps | 22 Point Blog! « Review of Android Calculators. Quick recommendation: Profimail (for largest print) and Aqua mail (for light on dark) are the best of an average crop. Can zoom in to 28pt (text does not reflow). 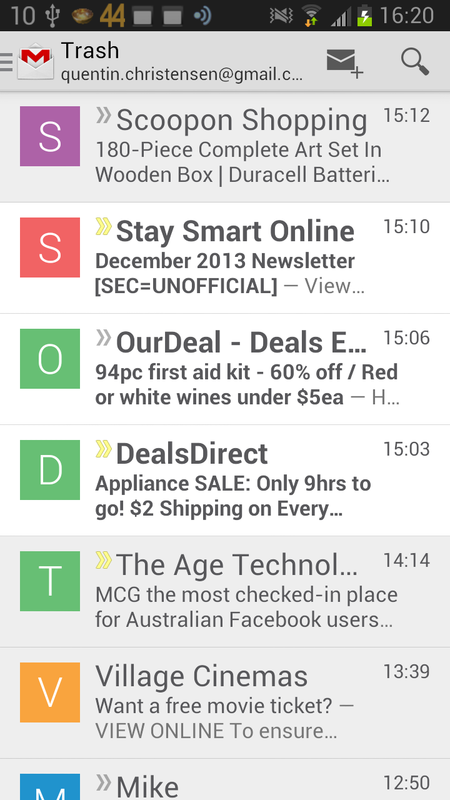 Colours light or dark, only works in inbox, not messages. Can zoom in to 26 point and text does reflow. Preview windows shows by default which takes up much of the screen. 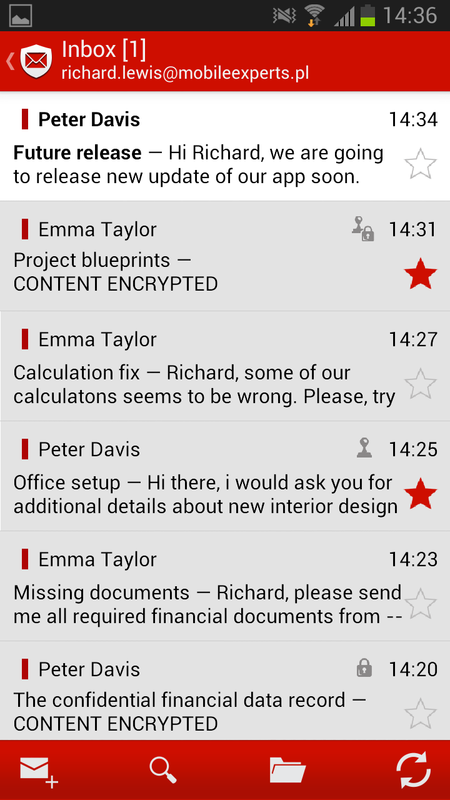 When removed, viewing an email shows the body only in half the screen and the top half is taken up by the sender’s information. Body of messages black text on white regardless of theme. Works with Talkback, several unlabeled buttons. Works with Talkback. Senders photo reads as unlabelled button and reads “Table, table table table” a bit when reading body of message – gets a bit tedius. Can pinch zoom messages to about 80pt but text does not reflow. 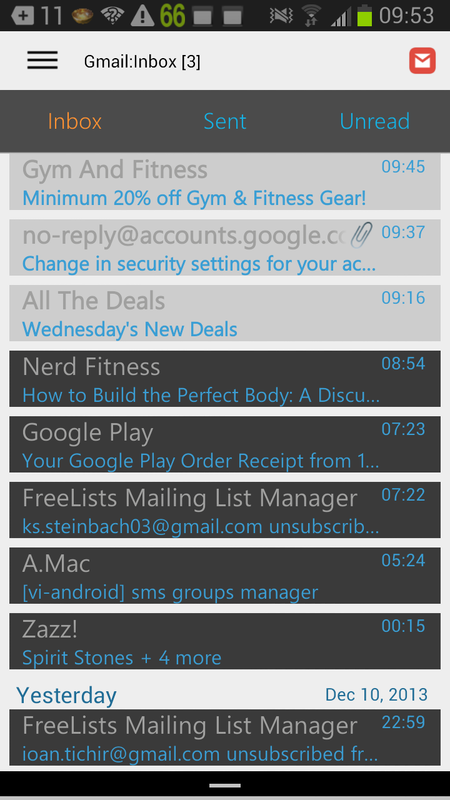 Doesn’t work with Talkback (some headings read but inbox and email body won’t read. Can pinch zoom in messages to 80 point but text does not reflow. 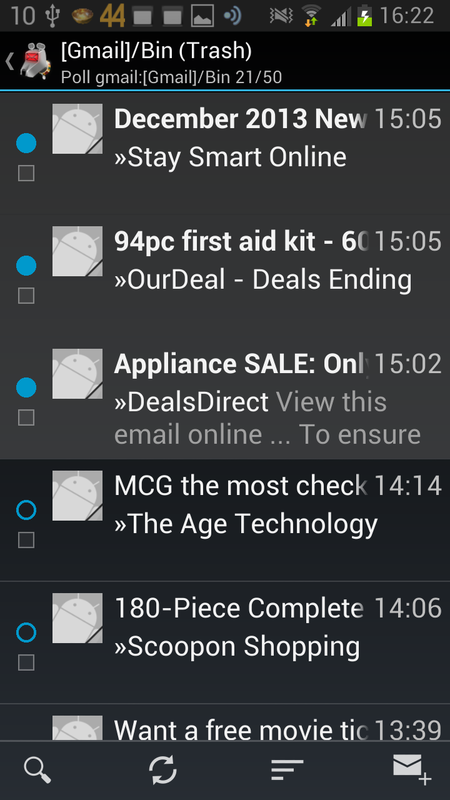 Talkback works in inbox but not messages. Can zoom (buttons) to about 72pt and text does reflow. Colours – Themes in paid version. Can zoom though only with on screen buttons, can’t pinch zoom. Colours – black or white, messages appear in white though. Can zoom to about 80 point and SOME text DOES reflow. 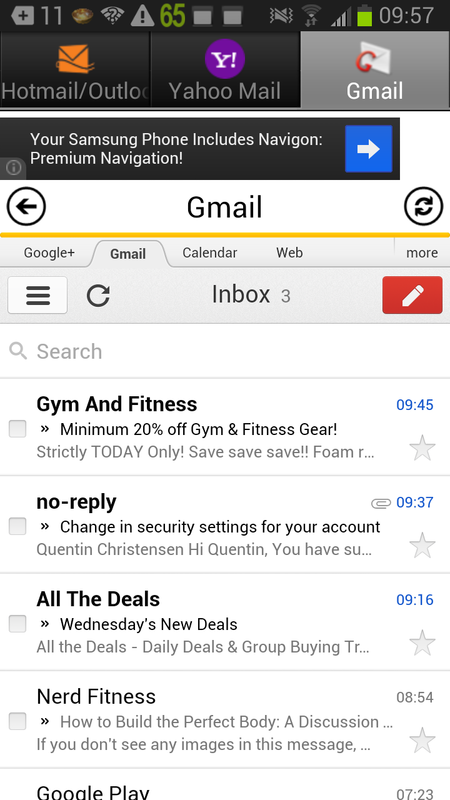 Colours – Various themes – Message body still appears black text on white. 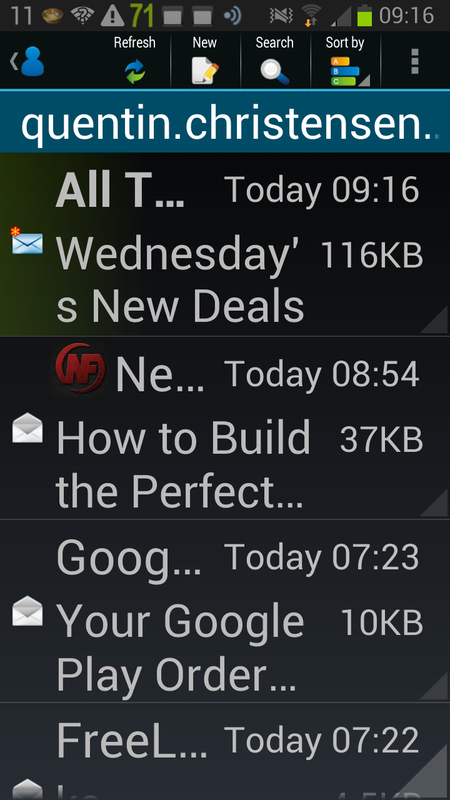 Inbox reads with Talkback though can’t open messages. Talkback works in inbox, it can’t read the current message though interestingly does read previous messages in a conversation. Colours – Only White. Uses a web view. Does not work with Talkback. 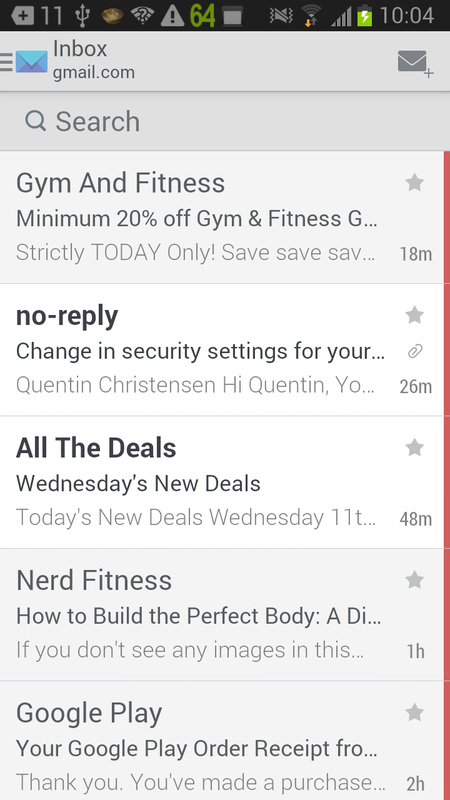 Colours – Themes only work in Inbox. 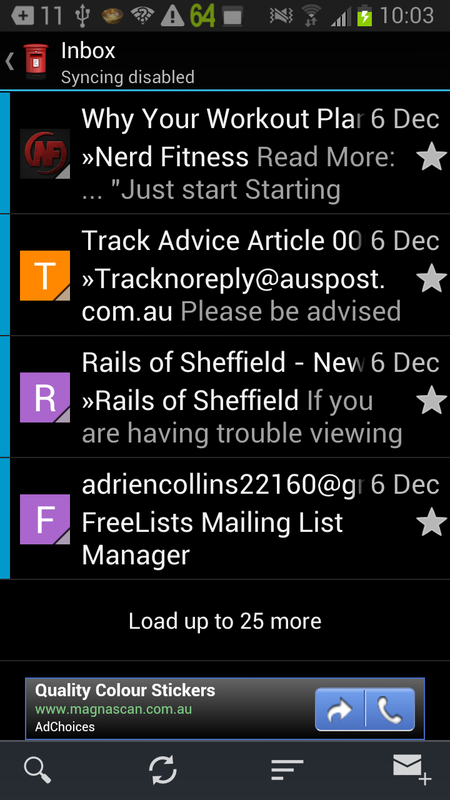 Can pinch zoom in messages to 36 point but does not reflow text. 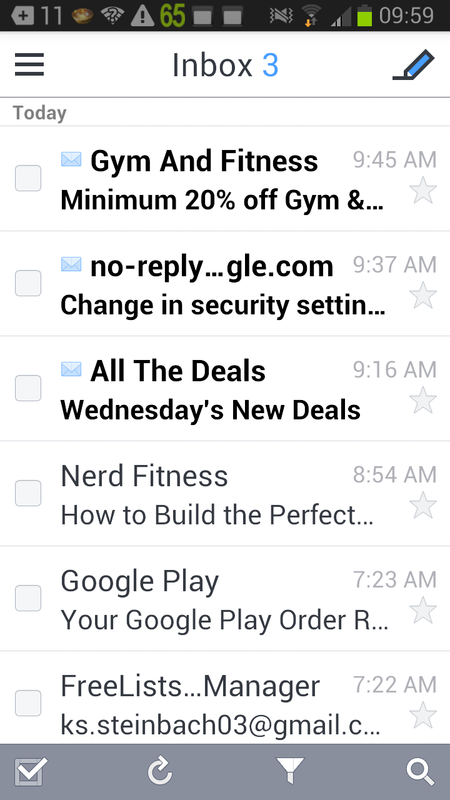 Inbox reads with Talkback but messages do not. 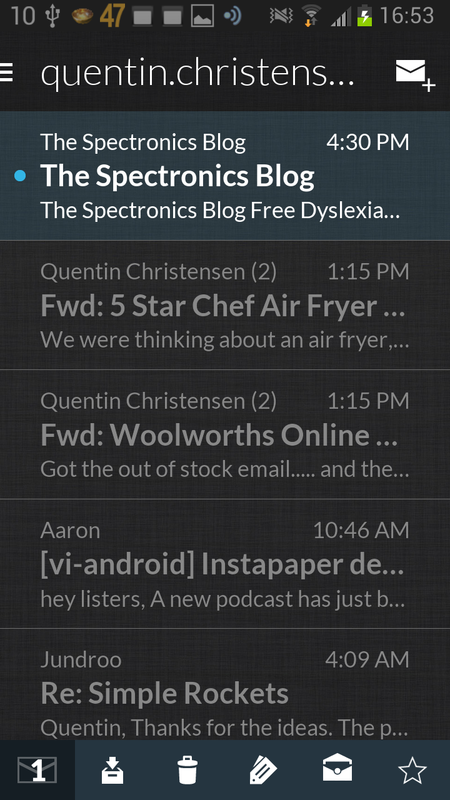 Colours – Themes only affect colour of title bar and buttons. Summary: I was sadly disappointed to find so many options and none of them with any decent text size options. I was pleased to find that a lot of the apps did work fairly well with Talkback though nearly half of them had big issues with speech. Most of them you can pinch zoom in on message contents though for the most part the text doesn’t reflow, so you end up having to scroll left / right as well as up / down. 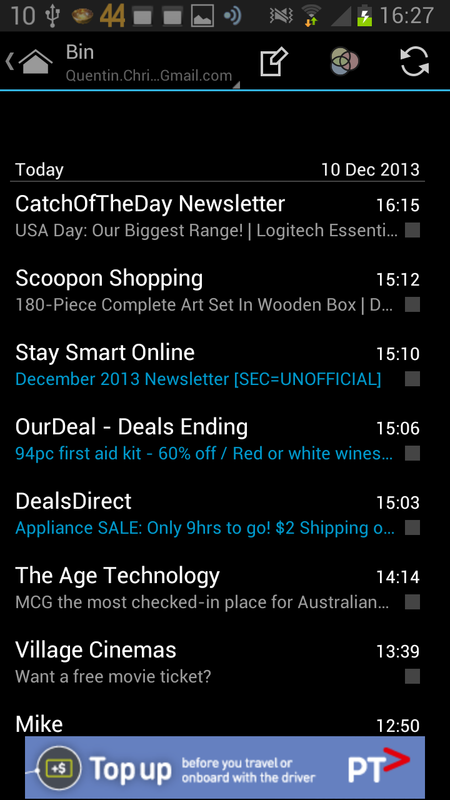 Some of the apps have colour themes, but again most of them only use these in the message list, when you open a message, the text goes back to black on white. 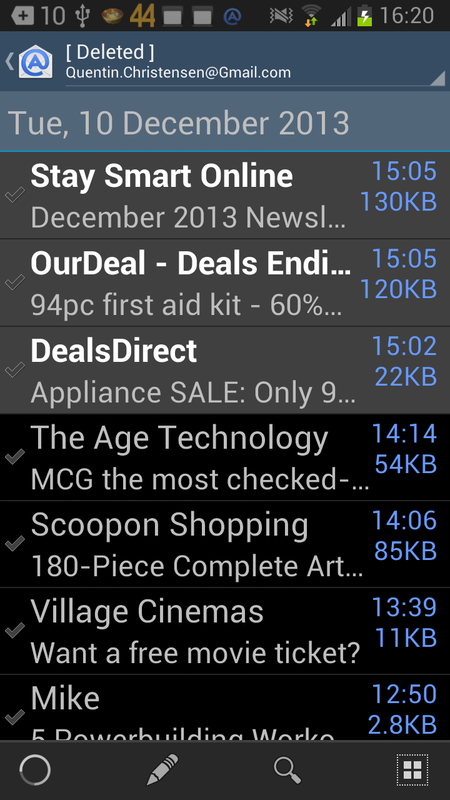 Profimail can have largish print but it’s hard to get the message to show on more than half the screen. 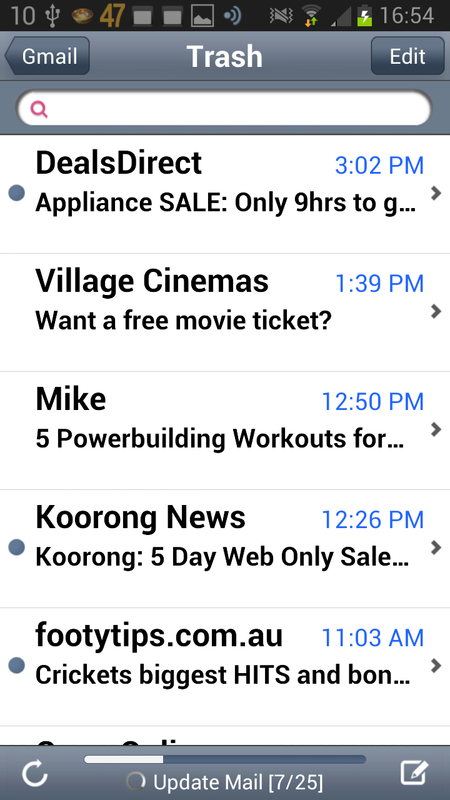 Aqua mail is the best high contrast option though agan not perfect as the text still isnt large print.